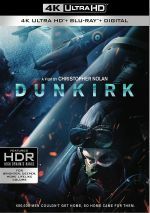 Dunkirk appears in an aspect ratio of approximately 1.78:1 on this Blu-ray Disc - most of the time. The filmmakers shot much of the movie with IMAX cameras, and that used a ratio around 1.43:1. On the Blu-ray, we see the IMAX shots at the 1.78:1 ratio I mentioned. The rest of the film used a 2.20:1 frame. 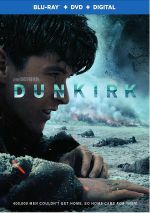 A third disc provides a DVD copy of Dunkirk. It lacks the Blu-ray’s extras. Though I don’t count Dunkirk among Christopher Nolan’s best films, that’s a reflection on his stellar filmography more than anything else. Dunkirk explores the wartime events with drama and passion, factors that make it a dynamic journey. 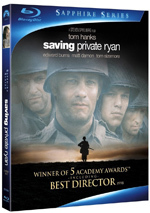 The Blu-ray boasts excellent picture and audio along with a largely effective collection of featurettes. Dunkirk winds up as a fine war movie.